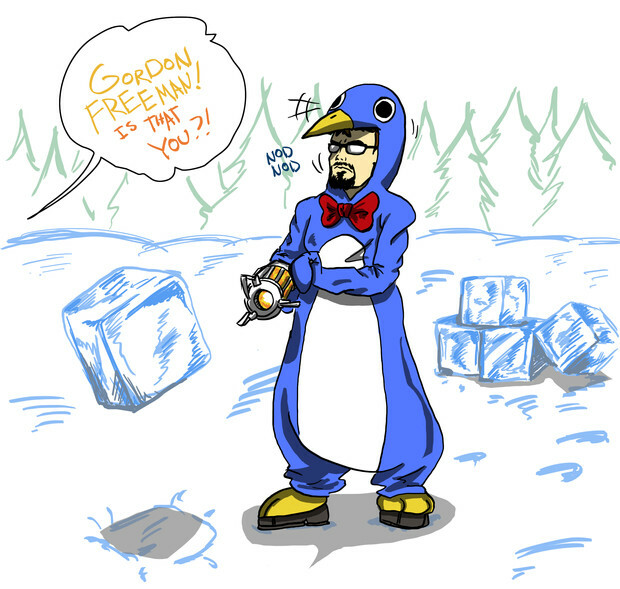 Community Blog by Anaugi // WINTER: Gordon Freeman Owns a Penguin Suit. Doesn't Wear it much. This is Canon. WINTER: Gordon Freeman Owns a Penguin Suit. Doesn't Wear it much. This is Canon. Penguins, ice and pine trees. This is about as Winter as it gets, folks! I want this penguin suit in the next Half Life game. The NPCs would be all "Gordon Freeman! Is that you?" and then they would ask you why you're wearing a penguin suit, but you can't see the penguin suit because you are Gordon Freeman. That's immersion on the next level! 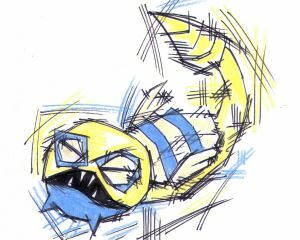 Unfortunately there isn't much to say about the art itself.